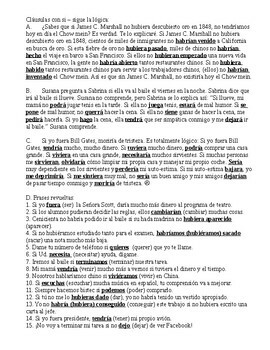 This 2-page document is truly a comprehensive review and practice sheet for if clauses. First, there are 3 paragraphs using each of the 3 main formulas for if clauses. 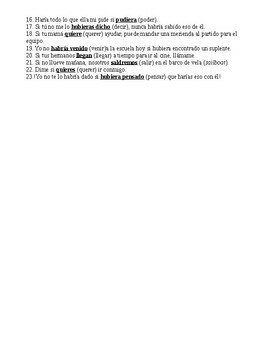 Then, 23 sentences mixed up and requiring students to conjugate the missing verb, then 15 open-ended sentences for students to finish based on their personal lives. Editable Word document can be adapted to your curriculum. 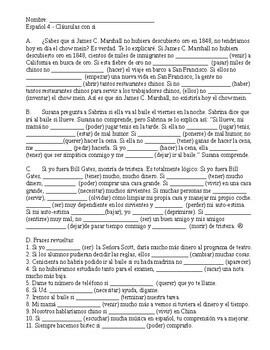 Answer key included for all but open-ended sentences.